Air101: New hotel opening for Marriott's Tribute Portfolio. New hotel opening for Marriott's Tribute Portfolio. 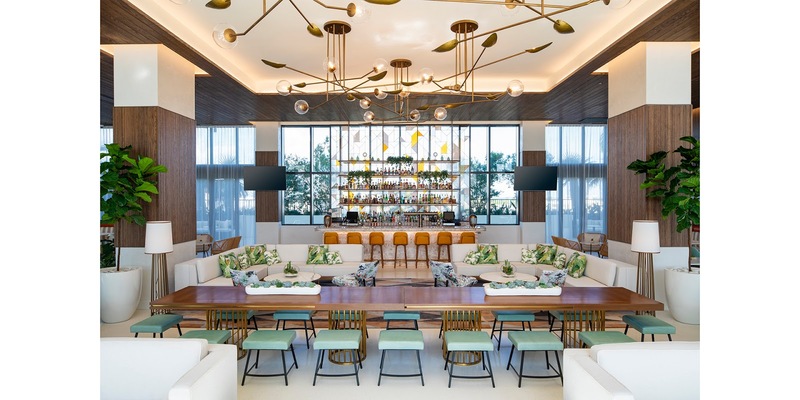 The Tribute Portfolio got a little bigger last week as The Dalmar opened in Fort Lauderdale, the latest addition to Marriott International’s newest collection brand. The 25-story hotel features 209 guestrooms including 33 suites designed with inspiration stemming from the vibrant personality of South Florida, blended with a distinctive mid-century vibe. known to bring together characterful hotels with vibrant social scenes. The Dalmar offers guests a relaxed and tropical environment with public areas that express a fresh and playful character through their layering of textures and finishes, vibrant jewel tone colours and dynamic contemporary art. Capitalizing on the natural beauty of Fort Lauderdale, the hotel’s indoor-outdoor design offers visitors an authentic downtown experience with ocean views. Upon arrival on the sixth-floor, visitors are treated to a wrap-around lushly landscaped sky deck with ocean and downtown views. The Lobby Lounge and Bar offers a relaxed atmosphere with live music on weekends and a speciality cocktail menu. The centrepiece of the action, the Lobby Bar mixes an array of tropical style references including terrazzo floors, comfortable lounge seating options, and a luminous pink onyx bar with a custom-designed stained-glass mural. The Dalmar comes to the neighbourhood as both a culinary and entertainment hub within the city. Guests and locals can enjoy five social spaces, all including an indoor-outdoor component allowing guests to enjoy The Dalmar’s landscape and the beautiful South Florida weather. The hotel’s signature restaurant, The Terrace Grill, is a classic American grill, fused with hints of Italian flair. Opening in spring 2019 is Sparrow, the property’s rooftop bar, which will boast the best views in the city from the 25th floor. Sparrow is created and operated in collaboration with Proprietors LLC, the lauded hospitality company and the team behind the cocktail institution, Death & Co. The Dalmar boasts 9,000 square feet of stunning indoor event space located on the fourth and fifth floors for groups and events of 10 to 300 attendees. Celebrating the beautiful year-round weather in South Florida, the hotel also offers another 5,000 square feet of highly coveted outdoor venue space that features a unique area nicknamed The Garden, featuring a picturesque tropical setting for events and ceremonies up to 200 guests. The Dalmar is located at 299 N Federal Highway, just minutes from Downtown Las Olas and Fort Lauderdale’s best beaches. 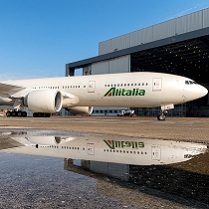 The property is conveniently centred between Florida’s three international airports and Broward County business districts. Complimentary shuttles to and from the beach and city centre will be available along with bikes to rent. Located in the heart of Downtown Fort Lauderdale, The Dalmar opened Winter 2019 as a cultural hotspot for the city. Standing 25 stories tall, The Dalmar features 209 stylish guest rooms, including 33 suites, sixth-floor 100-foot saline infinity pool and five food and beverage concepts including the city’s first skyline rooftop bar, Sparrow. Ideal for weddings, corporate events or social gatherings, The Dalmar also features 14,000 square feet of flexible indoor and outdoor meeting and event space with unbeatable views of downtown and Fort Lauderdale’s beaches.